WASHINGTON, April 13 (UPI) — A new issue of the Islamic State’s official journal, published online Wednesday, makes explicit new death threats against two Muslim American public servants — one of whom is an aide to Democratic candidate Hillary Clinton. 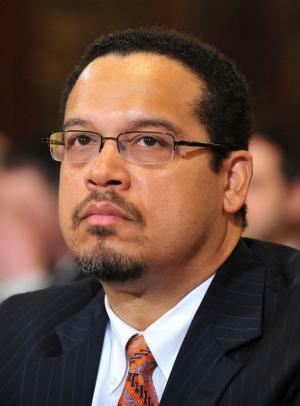 The magazine Dabiq targets Huma Abedin, a longtime aide of Clinton’s, and Minnesota Rep. Keith Ellison, who in 2006 became the first Muslim elected to U.S. Congress. In the magazine, the militant group, also known as ISIS and Daesh, classifies both individuals as “overt crusaders” and “apostates,” and states that they should be killed. “One must either take the journey to [ISIS’s self-proclaimed caliphate], joining the ranks of the mujahideen therein, or wage jihad by himself with the resources available to him (knives, guns, explosives, etc.) to kill the crusaders and other disbelievers and apostates,” the article states. According to the Site Intelligence Group, it’s the first time the Islamic State has publicly and expressly targeted specific Muslims in the West for death. The death list also includes certain Muslim officials in Britain and other Western nations. “The fact that I’m on Daesh’s bad side means I am fighting for things like justice, tolerance, and a more inclusive world,” Ellison said in response Wednesday. “No fear! Faith,” the Minnesota representative said in another tweet. Neither Abedin nor Clinton immediately responded to the printed threat Wednesday.